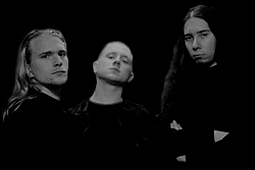 The Stockholm based melodic death metal band Hypocrite started out in 1989 under the name Dark Terror by founding member Johan Haller and Niclas Åberg. In the early days they were mainly influenced by classic American thrash metal such as Metallica, Slayer and Overkill. The band did many live shows with bands like Dark Funeral, Katatonia, Amon Amarth, Face Down, Dissection, Noctes, Raise Hell, Necrophobic and Eternal Oath. After having recorded several demos and a split 7" EP with the Italian band Electrocution the band released their debut album "Edge Of Existence" in June 1996 through the Italian label Flying Records / Off World. This album was remixed by Fred Estby (Dismember) and re-released on No Fashion Records in the year 1999, a Swedish label with whom Hypocrite signed a deal in 1998. 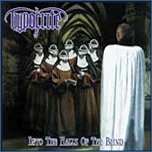 Their second album "Into The Halls Of The Blind" was also produced by Estby in 1998 and recorded in Das Boot studio. The current status of the band is unknown as Johan Haller works hard with promotion at the newly opened VME office in Sweden.